Karaoke songbooks are now available in Adobe PDF format. Use any smartphone to download the book in Artist or Song Title format. Adobe Reader can be downloaded from the Apple App Store or Google Play store. 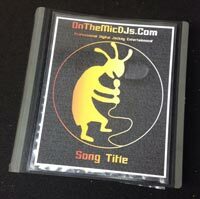 Comments Off on Karaoke Song Books now available in PDF!